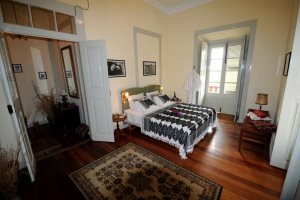 The rich history of this house, dating back to 1883, shines through each and every room. Large airy rooms with high ceilings - it’s simply beautiful. The owners, Morten and Luisa, are real characters. They pride themselves on top-class service and have so much love for Fogo. Join them for a drink in the bar and enjoy tale after tale of their life on Fogo. 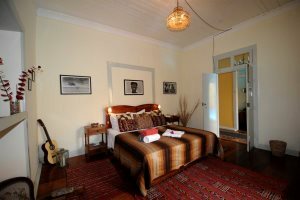 Every room has its own private bathroom, however, some rooms have bathrooms located adjacent to the bedroom, rather than an en-suite. Evoking the design and feel of a typical Portuguese house, dating back to 1883, Colonial Guest House is a fantastic option for those embarking on an island hopping holiday. 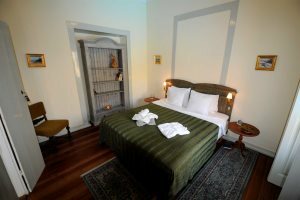 Designed in the distinctive Sobrado style which characterises many of Cape Verde’s oldest buildings, the guest house has a distinctive Portuguese vibe to it. 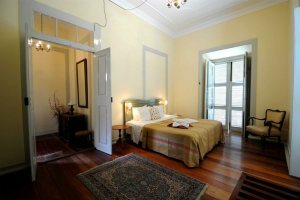 Located in São Filipe, Fogo’s capital, guests can easily explore the shops, bars and restaurants of the town, many of which are in walking distance of the property. For the extra adventurous, you can’t visit the island of Fogo and not pay a visit to the incredible volcano craters, easily reached via a guided tour. Sample Fogo’s own wine, which is grown inside the crater, or try the home-grown coffee, which is produced on the outer, fertile land of the volcano; there’s so much to see and do on this striking island. You will, however, be forgiven for not wanting to leave the relaxing oasis of the guest house, with its small pool and shaded comfy seating area – perfect for enjoying Cape Verde’s superb climate. 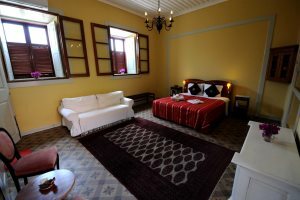 The Portuguese theme also extends throughout the property’s guest rooms, which have high ceilings, are wonderfully spacious and individually decorated. If you’re here to relax, why not make the most of the pool for a cooling dip or the bar and terrace that take in wonderful views across the sea of the neighbouring island of Brava? Direct International flights to Sal then internal flights to/from Fogo, via Santiago. Travelling time between Sal and Fogo is via Santiago and approximately 75 minutes flying time. Standard rooms have double or twin beds and en-suite shower. Some of the rooms have en-suite facilities which are not adjacent to the bedroom. Not all of the bedroom have a balcony or air conditioning. Fans are available on request. 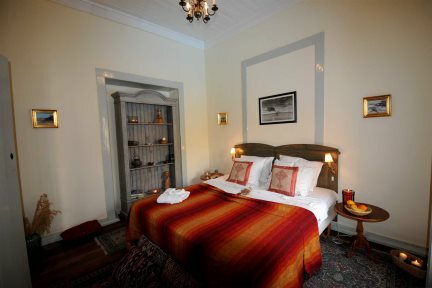 Single rooms have double or twin beds and en-suite shower. 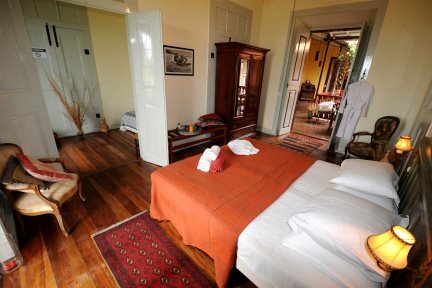 Some of the rooms have en-suite facilities which are not adjacent to the bedroom. Not all of the bedroom have a balcony or air conditioning. Fans are available on request.